Syllabus of the Online Course (Subject): Arab Economic Area of Islamic Civilisation. Learning materials in or Espace Arabe Espaço Árabe Espacio Árabe. Description of the Online Course: Arab Economic Area. The main Arab Business People in Arab Economic Area are HRH Prince Alwaleed bin Talal, Mohamed Bin Issa Al Jaber, Mohammed Hussein Ali Al-Amoudi, Yusuf Bin Ahmed Kanoo, Mohammed Al-Barwani, Jawad Ahmed Bukhamseen, Abdul Aziz Ghurair, Sulaiman Al-Rajhi, Majid Al Futtaim, Nasser Al Kharafi, and Nadhmi Shakir Auchi. The main Arab Businesswomen of the Arab Economic Area are Lubna Olayan, Shaikha Al Bahar, Amina Al Rustamani, Shaikha Al Maskari, Maha Al-Ghunaim, Randa Ayoubi, Nayla Hayek, and Ayah Bdeir. Arab Personalities: Lubna Bint Khalid Al Qasimi, Tawakkol Karman, Haifa Al-Mansour, Hayat Sindi, Reem Ebrahim Al-Hashimi, and Hanan Al Kuwari. 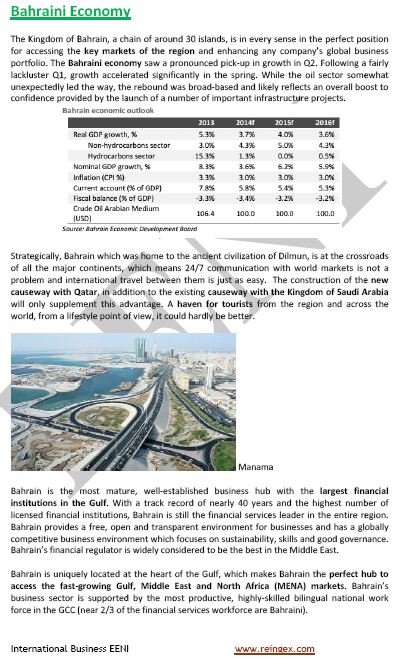 Economic Integration of the Arab Economic Area. 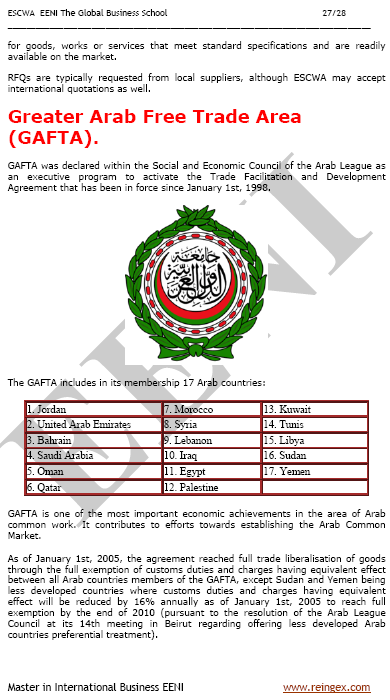 The main Arab integration project is the Gulf Cooperation Council (GCC). Economic Organisations related to Arab Economic Area. The Gulf Cooperation Council plans to sign an agreement with the MERCOSUR. Interactions of the Arab Economic Area of Islamic Civilisation with Sinic Civilisation. Inter-civilisations Agreements of the Arab Economic Area.